BussiPro Oy has signed a retail-sales and import agreement with Frimatec. The German company manufactures high-quality engine water pumps, torque rods, and air-conditioning compressors. 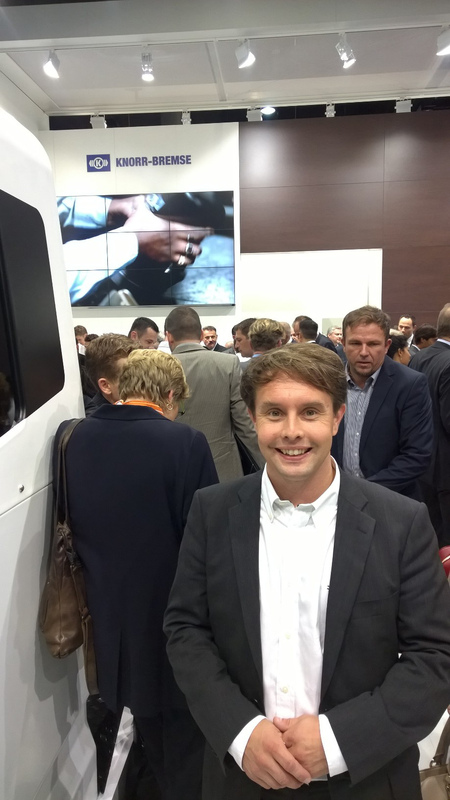 Frimatec Automotive GmbH engages in worldwide operations in the commercial-vehicle after-sales market. Unlike the spare parts produced by many other Central European manufacturers, all of Frimatec’s products are still manufactured locally: in Wendelstein, Germany. Frimatec focuses on parts for the leading European makes of HGVs and buses, including VOLVO, SCANIA, IVECO, MERCEDES-BENZ, MAN, DAF, and RENAULT. All spare parts are checked and tested in accordance with an ISO 9001 quality-management system before they are delivered to customers. For example, all water pumps are vacuum tested for leaks, and they come with a two-year spare-parts warranty. 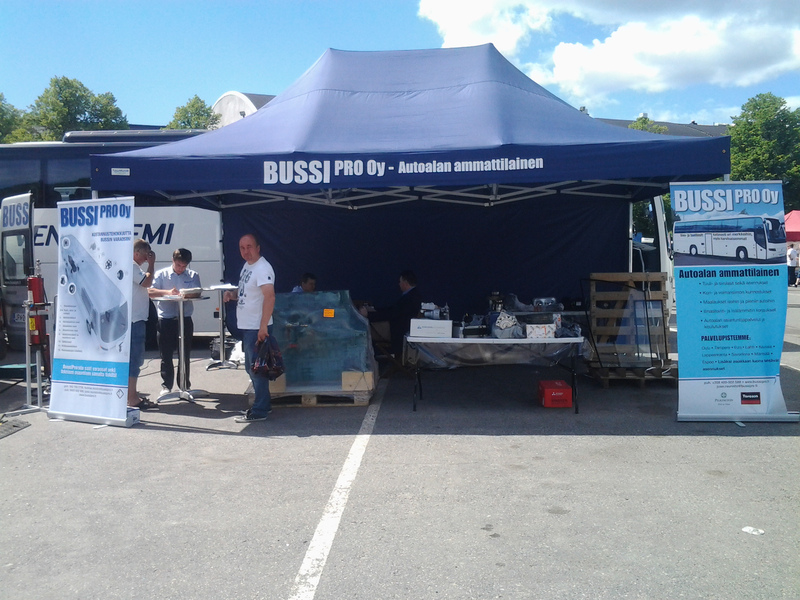 BussiPro Oy has already provided its customers with water pumps that have previously not been available in Finland. BussiPro has signed a partnership agreement with Bürkert, who manufacture valves used in bus heating systems. We already stock the most common Bürkert valves for Lahden Autokori and Volvo vehicles, and we are now looking to expand our stock selection further, to maintain and improve our services, especially for the challenging winter months. The Finnish magazine Konepörssi, published by SL-Mediat, recently highlighted the alarming frequency of plant-machinery fires and asked BussiPro Oy and Molkent Oy how serious accidents can be prevented. The article focused on the Dafo fire-suppression system, which had been installed by Molkent Oy in a vehicle crane and a bulldozer used at a paper mill in Imatra. In addition to the Dafo system, we supply the other leading Swedish fire-suppression system, Fogmaker. Jussi visited the Persontrafik public-transport fair, which is held in Stockholm every two years. This industry event featured new bus and coach models from several manufacturers, with the strong presence of Chinese companies being particularly noteworthy. 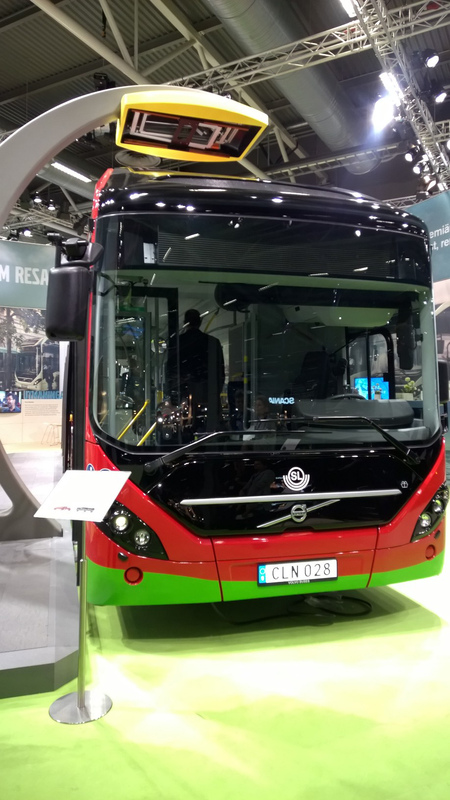 Volvo introduced their new rechargeable 7900 hybrid bus, making its European debut. 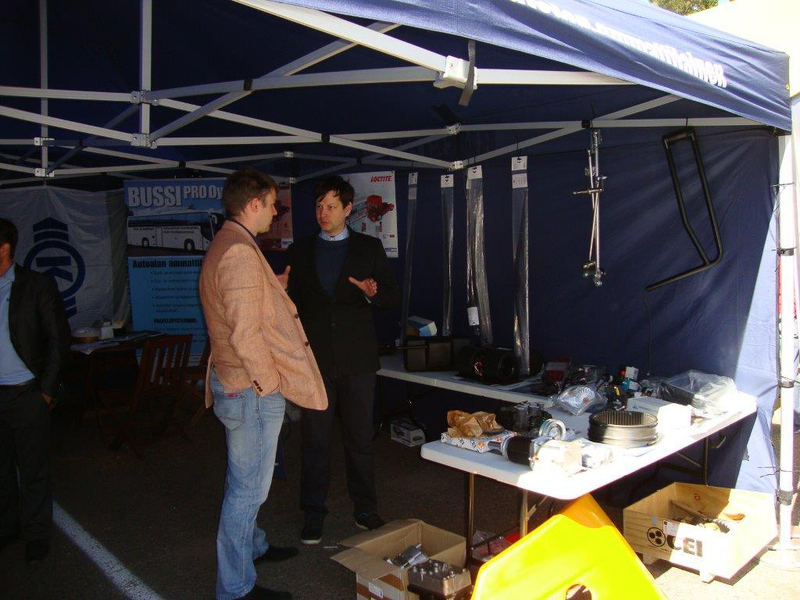 The fair also gave BussiPro’s representative an opportunity to develop existing supplier–customer relationships. A number of potential new partnerships were also identified. We will tell more about this later. 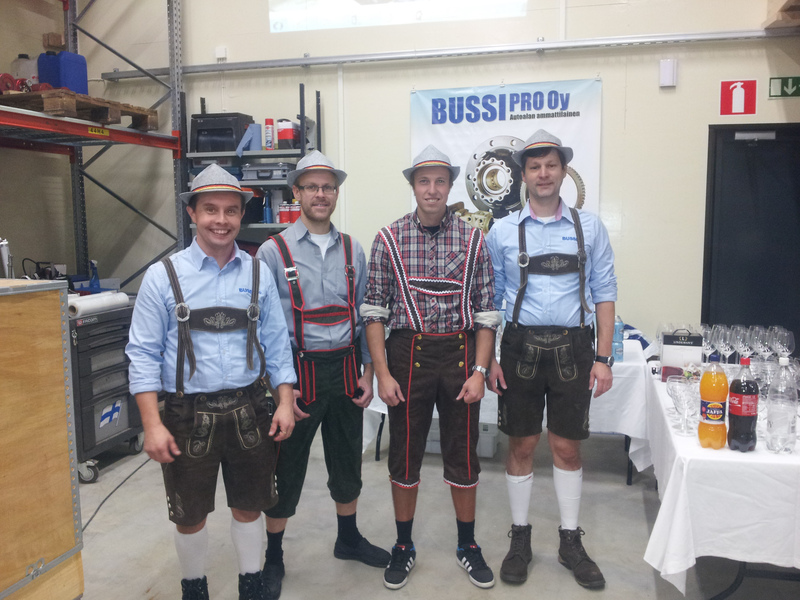 BussiPro’s new premises were officially opened on Friday, 24 October 2014. The occasion was marked with a ‘hammer cake’ and an Oktoberfest-themed party. 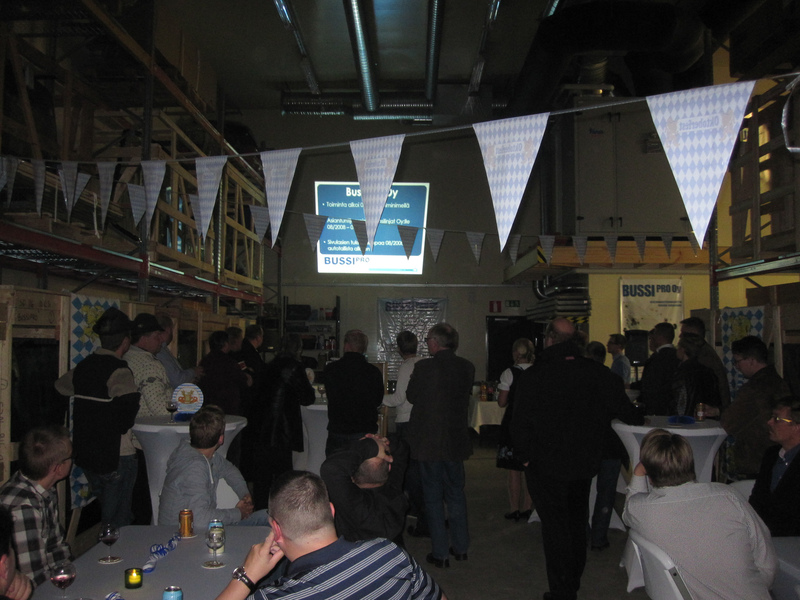 First, Jussi talked briefly about the history of the company and welcomed all the guests to the opening festivities. Once the formalities were out of the way, we enjoyed a German-influenced meal, which included blood sausages, sauerkraut, potato salad, and pretzels, washed down with weissbier, refreshing wheat beer. 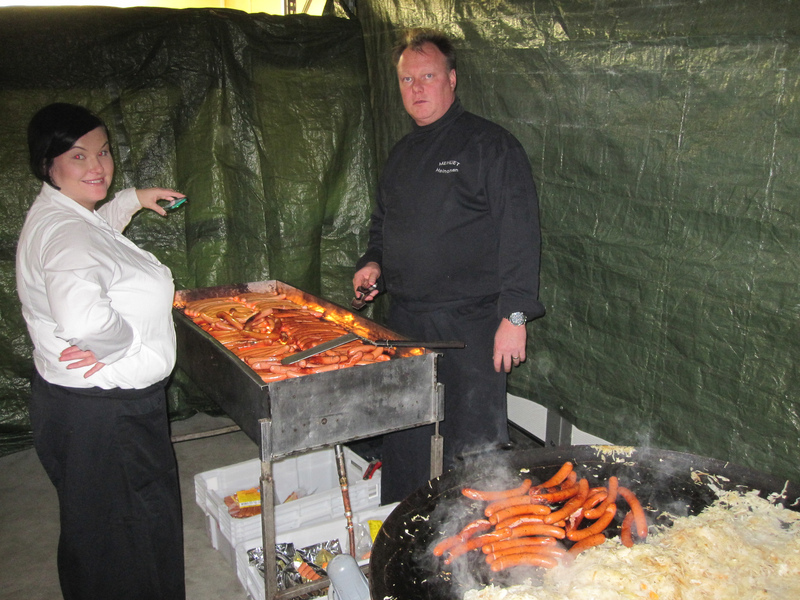 The catering was expertly provided by Lahti-based Saku Heinonen and his team. 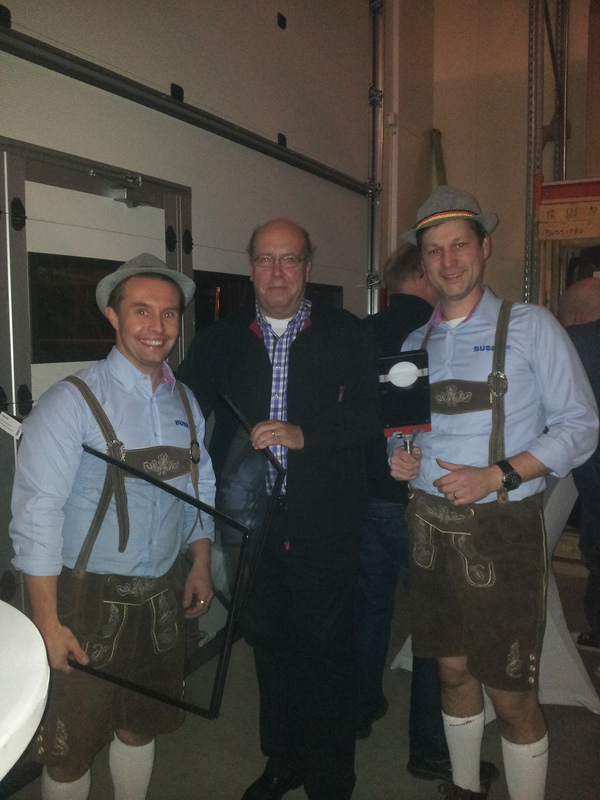 The evening continued with German music (including tunes from DJ Ötzi), socialising, and dancing. We would like to thank all of our guests for creating a fantastic party atmosphere! 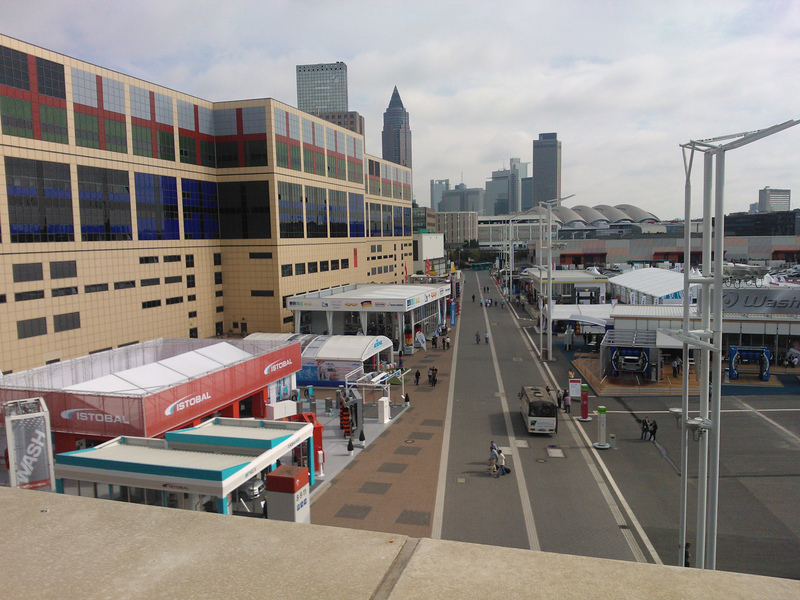 The biannual Automechanika fair was a resounding success for BussiPro. 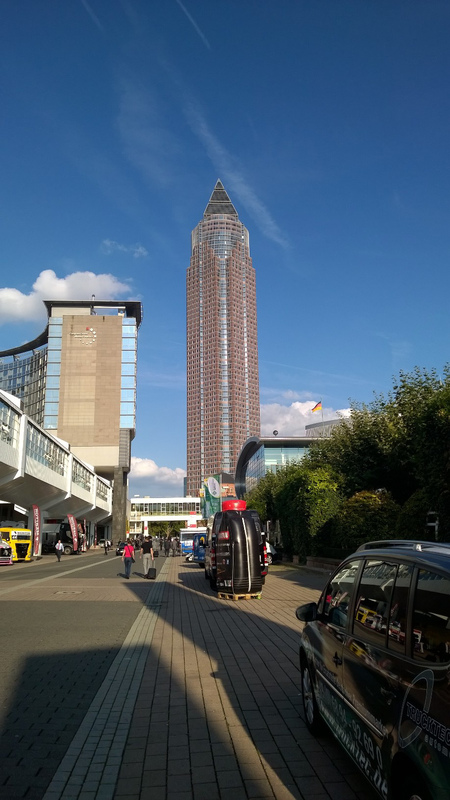 Automechanika is the world’s biggest trade fair for automotive after-market operations. This year’s event was yet another record-breaker, bringing together 4,631 exhibitors, from 71 individual countries, and 140,000 visitors, coming from all over the world. 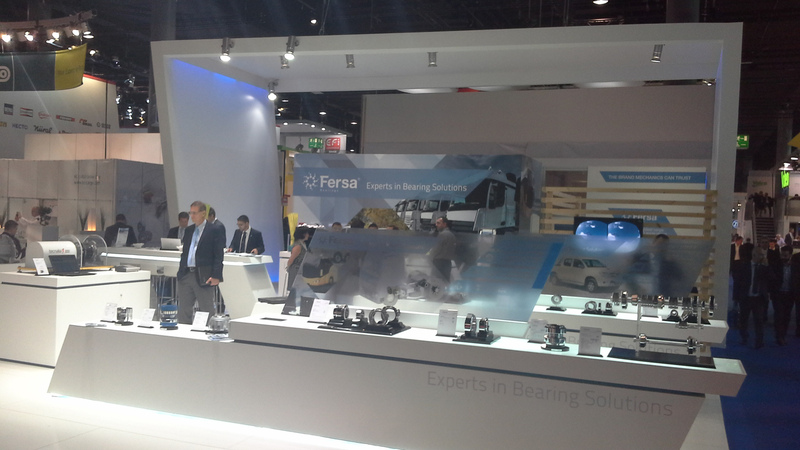 Jussi and Tuomas signed several important new partnership agreements in the course of the week and met with existing suppliers, including Knorr-Bremse and a supplier of original Iveco and Irisbus parts. 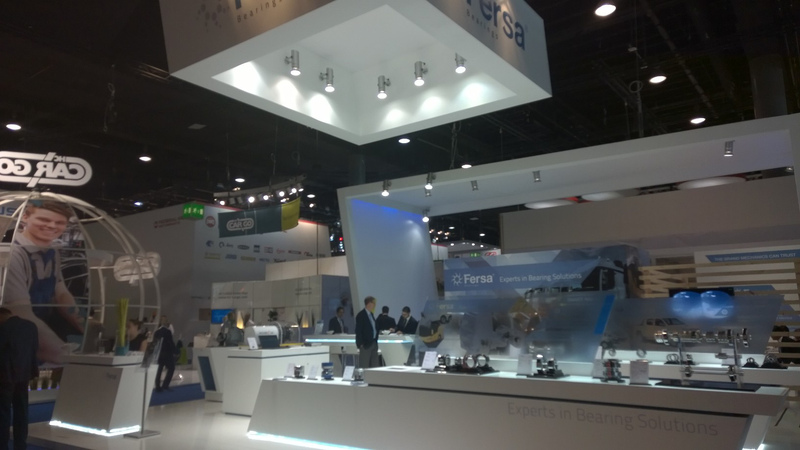 They also strengthened ties with existing suppliers of new and second-hand engines and gearboxes. Among the most important of the new partners is Meritor, who are best known in the bus industry as Volvo’s wheel-brake manufacturers. BussiPro now has a number of new suppliers for original VDL, Volvo, and Scania parts. 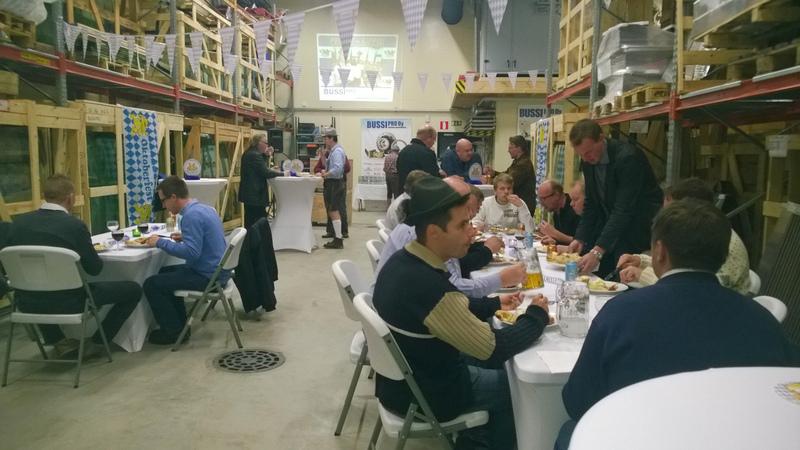 The event also saw Jussi and Tuomas form new supplier–customer relationships, with Nordic companies being particularly well represented. 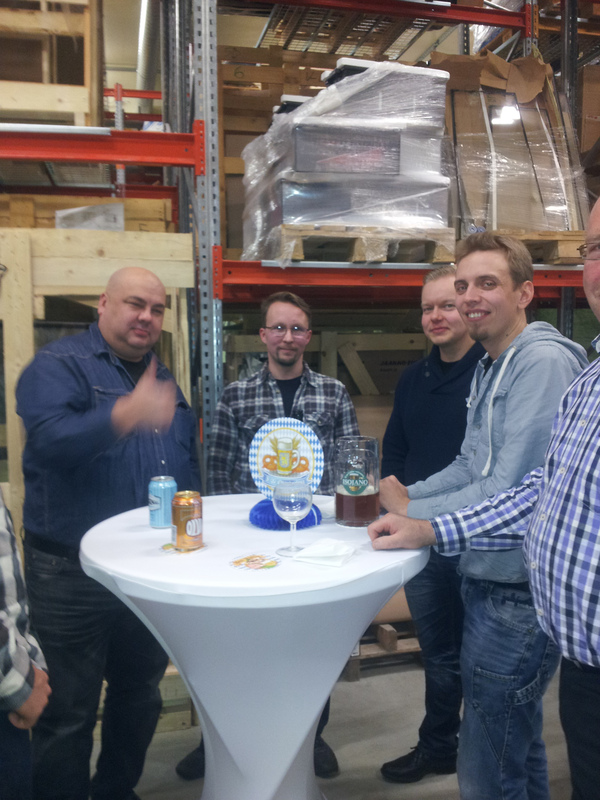 BussiPro moved to new premises, at Lahti’s Jokimaa Enterprise Park, at the beginning of July. BussiPro staff were closely involved in the design of the new facilities, ensuring that they meet the company’s current storage needs and the needs of a growing group of personnel. We now have two bays for installation of windscreens, side glass, and automatic fire-suppression systems, and there is no longer any need for delivery vehicles to block the entrances, even when the workshop is full to capacity. Also, we have introduced a new telephone system, allowing us to offer faster service to our customers. 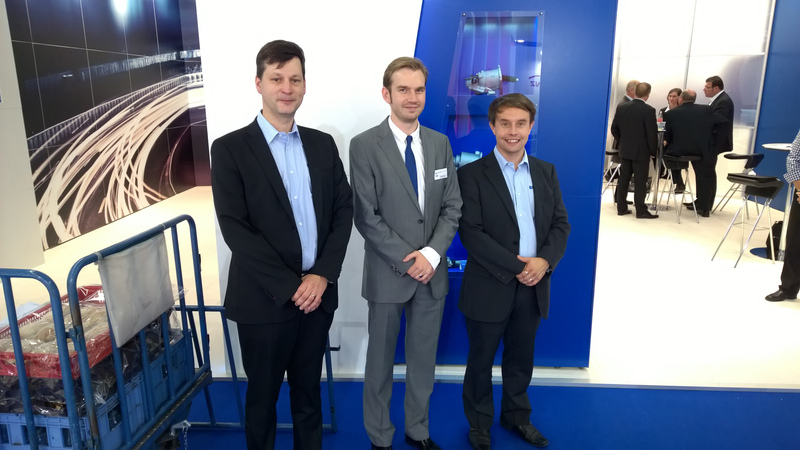 BussiPro showcased its latest products at the BUS2014 exhibition. The products on show included Matador windscreen-wiper mechanisms, MEKRA mirrors, temperature-control components (e.g., UWE units), and ready-painted body panels. The exhibition provided bus and coach professionals with an opportunity to enjoy a sunny, albeit slightly breezy, summer day on the famous sandy beaches of Yyteri. 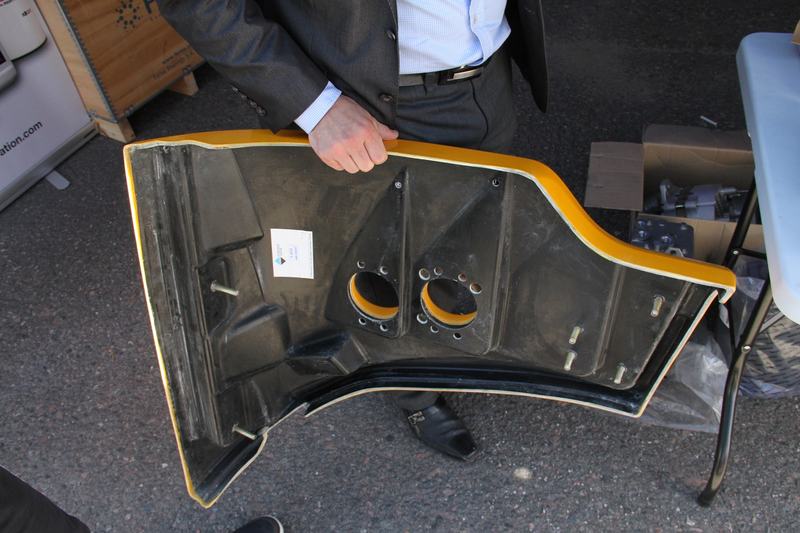 Our first ever sales transaction at the event itself was completed when Markko Aruksaar, from the company Busland, bought a mirror arm for a Scala bus that was being repaired in Estonia. 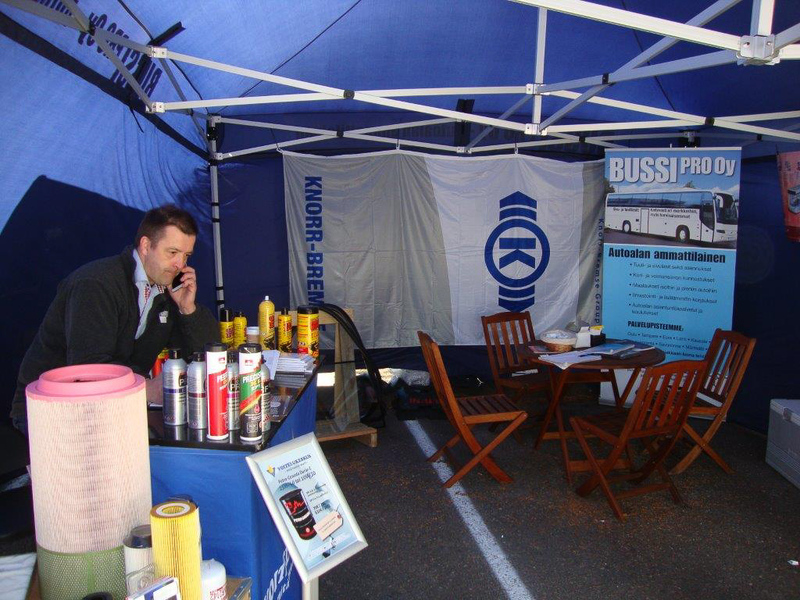 BussiPro’s stand also featured products from Voitelukeskus, one of our long-term partners, represented by sales manager Kari Salmela. Voitelukeskus products on display included bus and coach filters, along with adhesives and sealants. We have extended our stock to include replacement windscreens for A-class motorhomes. Replacement glass for less common makes and models, along with heated and reflective (solar) glass, is available to order and usually delivered within a week. Our suppliers include both Finnish companies and Central European manufacturers that specialise in replacement glass for motorhomes. Thanks to our improved delivery times, summer 2014 proved very successful for us in terms of motorhome glass replacements. More information is available (in Finnish) in the magazine Ammattiautot, at http://www.ammattiautot.fi/uutiset/bussipro-asentaa-tuulilasit-matkailuautoihin. BussiPro and The Matador Company Ltd signed a retail agreement for the sale of windscreen-wiper systems in Scandinavia at the traditional bus trade fair held in Kortrijk, Belgium. 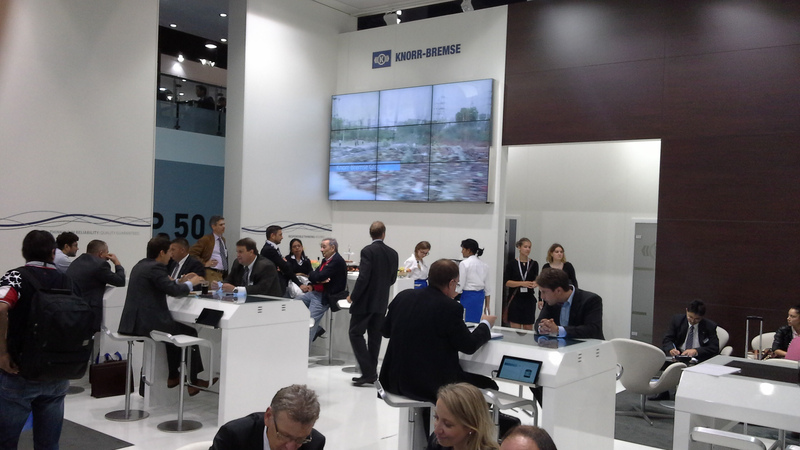 The systems covered by the agreement are used in vehicles manufactured by VDL and the former Lahden Autokori, for example. The partnership will be gradually extended to cover windscreen wipers and spares from other manufacturers. BussiPro and Knorr-Bremse, one of the leading experts in compressed-air systems used in HGVs (air brakes and suspension systems), have signed a retail agreement for the Finnish market. 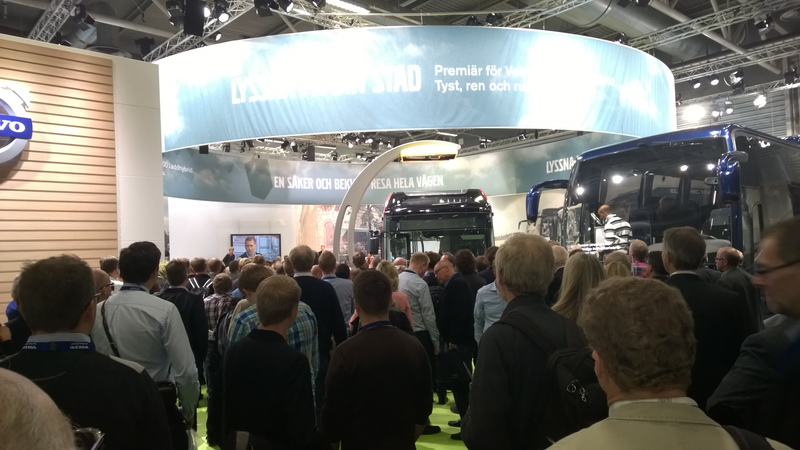 Trade fairs: BussiPro participated in the annual summer exhibition of the Finnish Bus and Coach Association in Helsinki. 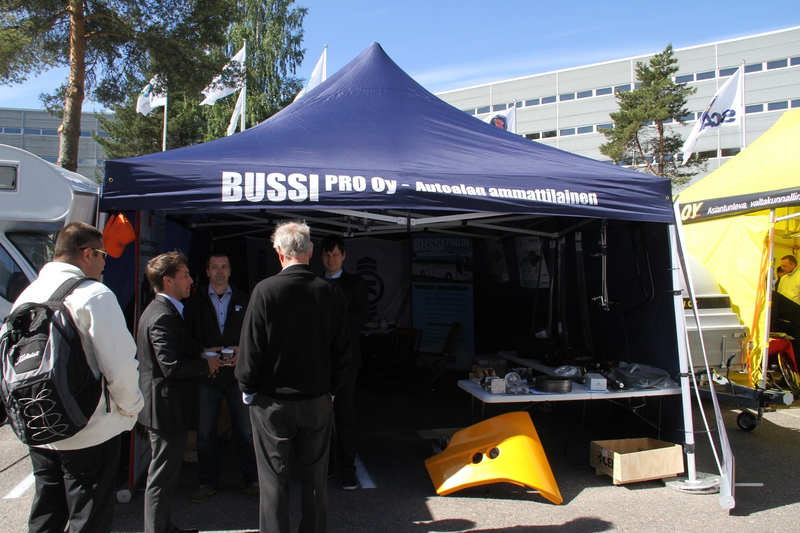 BussiPro showcased its new products and services at the Finnish Bus and Coach Association’s traditional summer exhibition in June 2013. 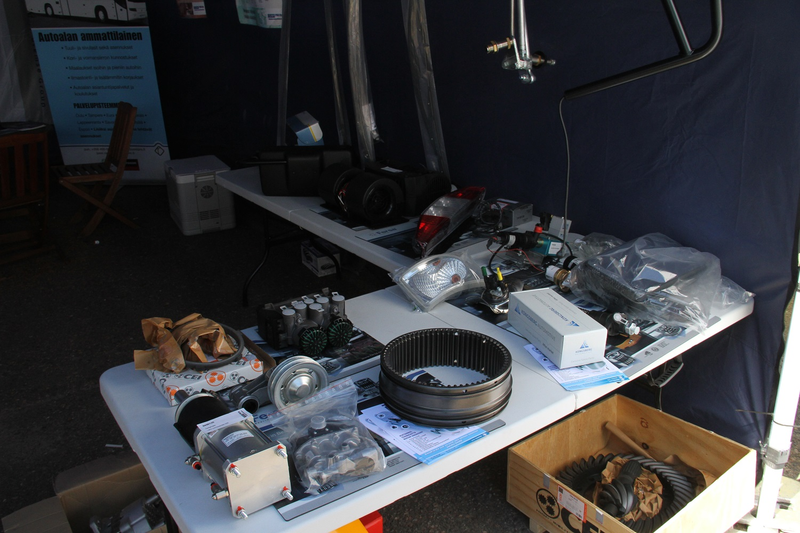 Products on display included body and chassis spare parts, while BussiPro’s demonstration involved the installation of a fire suppression system on one of Ventoniemi Oy’s new charter coaches (Scania OmniExpress 360). Please click here for a photo. In 2013, BussiPro added a wide range of chassis and body parts to its product catalogue. 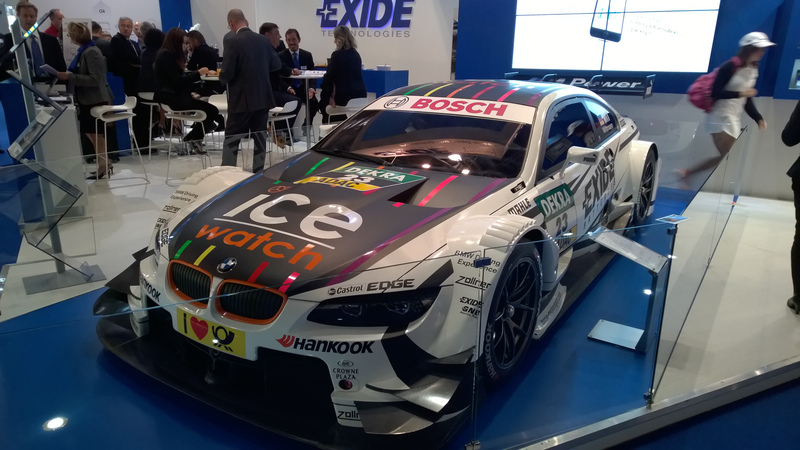 Brands represented include, e.g., Knorr-Bremse, Sachs, Bosch, Mitsubishi, CEI, Matador, Webasto, Spal, and Hella. We have more than 1,000 spare parts in stock, ranging from reconditioned gearboxes to Webasto pumps. 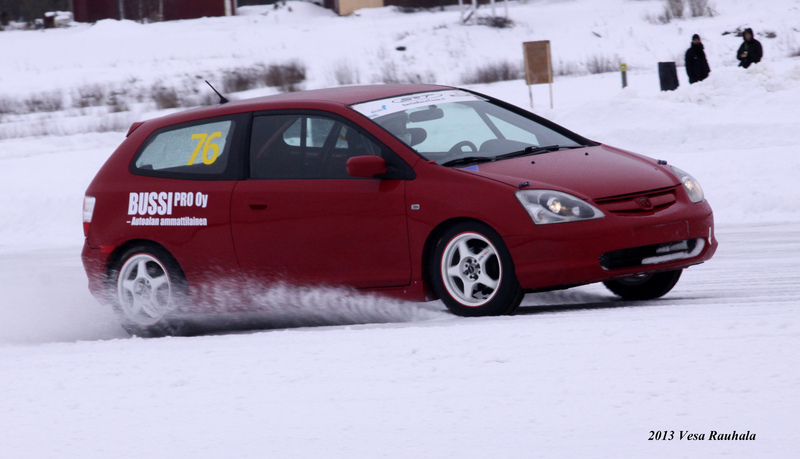 Janne Lähde, sponsored by BussiPro, won the Jalasjärvi race of the Finnish National Ice Racing Championship in the winter of 2013. Please click here for a photo. 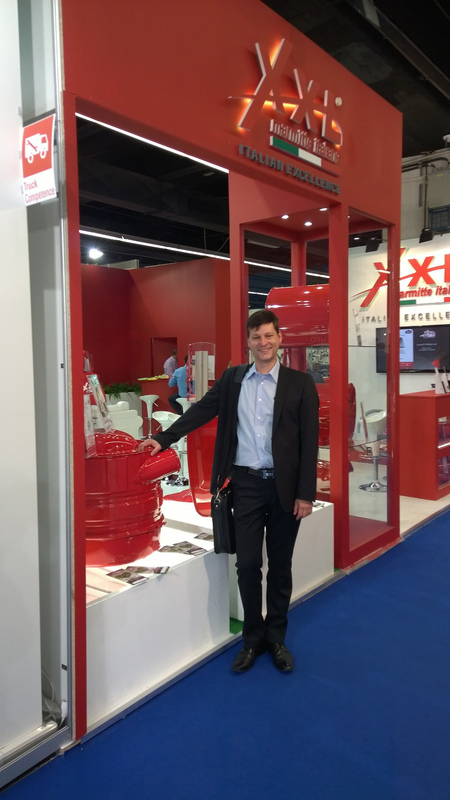 In 2012, BussiPro extended the sales, installation, and maintenance services of automatic fire suppression equipment to plant machinery. Please click here for a photo. BussiPro offers original replacement windscreens for motorhomes (esp. A-class motorhomes). BussiPro has excellent links with Finnish glass manufacturers, and replacement glass can also be sourced from Central Europe. Fast delivery times + competitive prices. Please click here for a list of the makes we supply. In the spring of 2011, Nobina Finland Oy was looking for new ways to ensure the safety of its passengers and signed a repair and maintenance contract for the periodic maintenance of its automatic fire suppression equipment with BussiPro Oy. In the 2011 season, BussiPro Oy sponsored Jouni Savolainen, a promising young road racing rider competing in the Finnish National Championship. He had finished fourth in the previous season, just losing out on a place in the top three. Savolainen was sponsored by BussiPro that season as well. 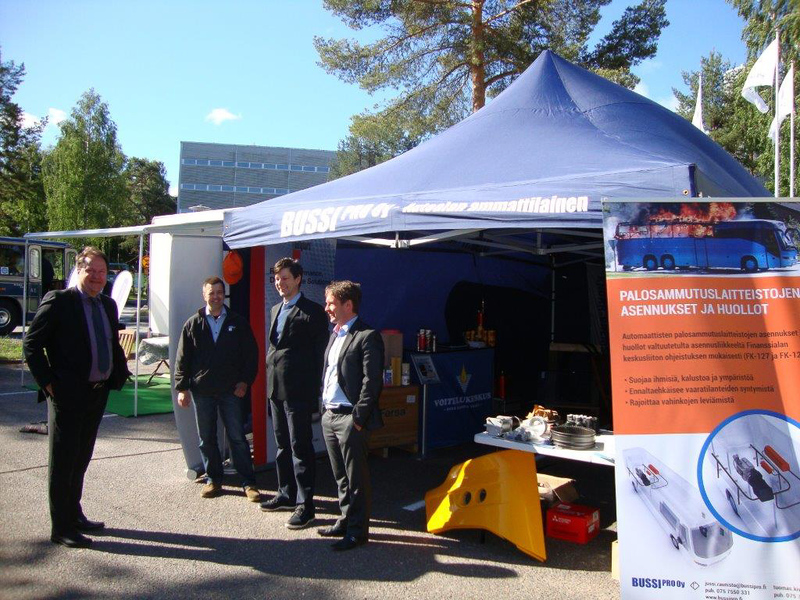 BussiPro participated in the Caravan fair in Lahti in September 2010. BussiPro supplies original replacement windscreens and side glass for all bus and coach models. BussiPro has excellent links with Finnish glass manufacturers, and replacement glass can also be sourced from Central Europe. Fast delivery times + competitive prices. Please click here for a list of the makes and models we supply. We have authorised specialist workshops in Oulu, Tampere, Eura, Lappeenranta, Savonlinna, Mäntsälä, and Espoo. We also carry out repairs at the customer’s premises.